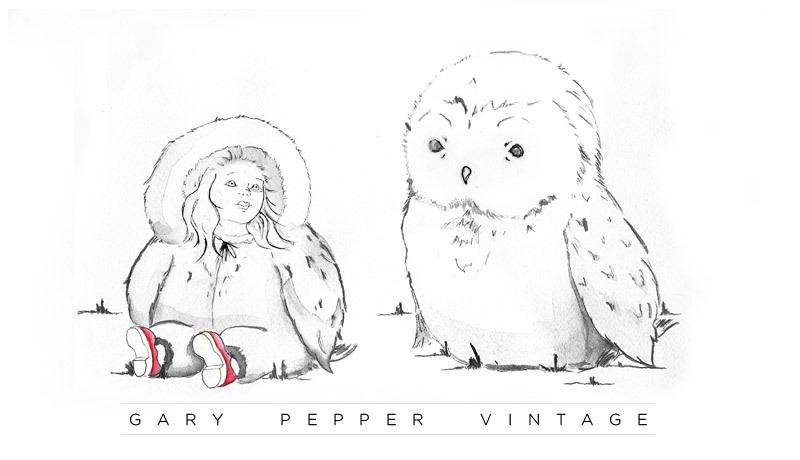 Gary Pepper Vintage: G I V E A W A Y ! Good luck to everyone who enters and don't forget my ASOS x Fashiolista giveaway is ending tonight too! Winners will be announced in my next blog post so stay tuned..
already like!! you can checkup. Just liked on facebook!! Beautiful outfit btw love that blue bag. I'm having a GIVEAWAY as well. A $100 dollar Shopbop giftcard! Come check it out :) It's open to international bloggers as well. and i do love the look! I do really like this look! And made official on fb! Liked the photo (as Megan B)! Leopard print is one of my fave patterns! That jacket is so amazing, already liked on facebook too. "liked" it! how can i not? thanks for the giveaway opportunity, nicole! love that coat... what a great piece! liked! I've liked your picture on facebook! Love the pants. Absolutely adore the sophisticated look!! 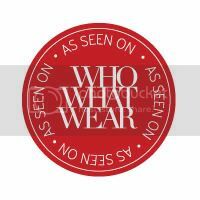 Liked your Frockshop on facebook. You're my first fashion icon. Love your style. Liked & loved your look! I would have liked this look on facebook either way, your outfits lately have been so amazing and truly awesome outfits i want to wear!! Love your outfit :) I liked it on Facebook! i LOVE the blue & tigerprint combo!! Looking gorgeous as always! Blue and burnt orange complement each other so well. I liked your leopard look on Facebook! Great look! Liked the photo. 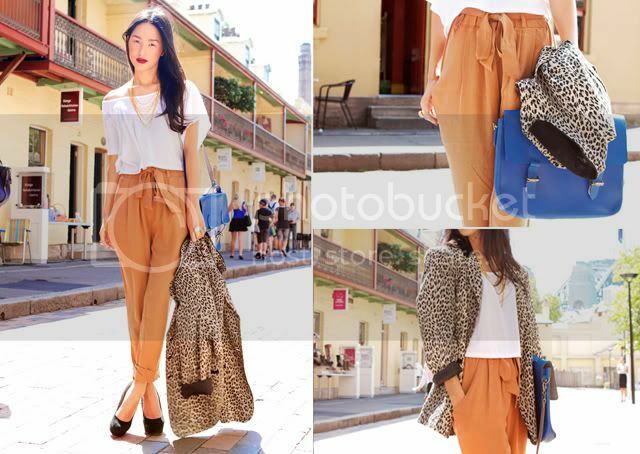 I love the pop of colour with the blue satchel, it really lifts the whole outfit. I'm also super jealous as I've been trying & failing to find a satchel like that I can fit my laptop in. Completing my final step for your giveaway :) Loving your style and your blog is a true inspiration! Oh, such a pretty leopard jacket! It has already won my vote ;) Best of luck, I hope you win! Liked, I love your style. Liked your photo under: NICOLE O. Cool giveaway! I really like your coat! Done! That outfit is amazing. 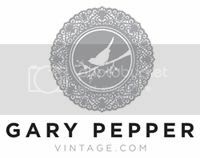 I absolutely love your store! A gift card would do wonders for my empty wallet, haha. i'm so excited your doing this giveaway!! Liked it. And I love your store! I've been dying to get one of your fabulous bow headbands! Love your style and love this look!!! Nice outfit, I love the bag! i love the blue bag, the colour just really pops out. check out my blog! i have a preview of the new spring items in my etsy shop! Your style is effortless and absolutely amazing. I don't think you can ever go wrong. liked it :) love love love those pants too! Liked! Those pants, I die! They are amazing, looking forward to more amazing posts! I've just been converted to leopard print! The best! Beautiful pants! And your store is great! Absolutely gorgeous! Best of luck! those trousers fit you so! so pretty combination of patterns & colours, loved it as always!!! These photos have inspired me to buy more trousers and to indulge in some plum lipstick. The look is so amazing. I always love what you're wearing! So jealous of your wardrobe! even without a giveaway, i would have 'liked' this look - stunning as always! Actually liked the outfit even prior this giveaway! how can people vote when there is no photo to "like", the link doesnt work says content not found and I tried to find your look in their photos :(((. Your style is inspiring. Where do you get your lipstick?! I really hope that you can send this gift card abroad too. Because I live in Sweden but i love your vintage clothes anyway. Sorry I forgot my email! i am really loving that shape trousers this season. ive got two pairs so far but i think a nice orange pair would be a nice addition! Already liked it! Good Luck Nicole! Hey, i like it anyway. wow, so I live in Slovakia so I hope you send that gift abroad too :) I already liked it. I would press love if there was this option. I love this look. This outfit makes reminds me of summer. count me in for sure my lovely! I love all the beautiful treasures you sell! Hey your outfit is fantastic especially the bag that adds a pop of colour into it! Liked an infinity time on facebook! liked! wish I could love. The colours in this outfit go together so well and pop all together :) Love the trousers so much! absolutely LOVE this look. we need people as stylish as you up here in the cold north!